There are dozens of rituals available here at About Paganism & Wicca, and thousands more available across the vast expanse of the Internet. There are hundreds to be found in books on the subject of Wicca, NeoWicca, Paganism, and witchcraft in general. These rituals make a great template — and certainly, if you’ve never held a ritual on your own, it’s nice to have one already written for you. For many people, an important aspect of the spiritual growth process lies in planning one’s own ritual. You may find that in planning your own rituals, it helps to follow the same format each time. After all, part of ritual is the concept of repetition. That doesn’t mean you have to speak the same words each time, but if you follow the same general order of things, it will help you become more in tune with the ritual process. Something else to keep in mind is that ritual should be celebratory. That means that it should celebrate something — a Sabbat holiday, a phase of the moon, the change of the seasons, a phase in one’s life. Know what you’re celebrating, and then you’ll know what your focus should be for the rite. Witches of The Craft offers a daily digest that includes daily tarot card, astrological information among other things. WOTC is our sister web site and this is why Coven Life does not do this type of thing. Coven Life main focus is bring information to those who want to learn more about The Craft, it’s history, rituals, how to perform spells, etc. In other words we are a teaching website. The magic of the moon is something that many modern Pagans find compelling. After all, for thousands of years the moon has been a source of folklore, myth and legend. One of the most intriguing aspects, from a magical perspective, is that of a lunar eclipse. Since the moon doesn’t emit any light of its own, what we see if it in the night sky is sunlight reflected off the lunar surface. A lunar eclipse occurs when the earth’s shadow blocks the sun’s rays, causing it to appear temporarily darkened. Unlikewith a solar eclipse, which can only be seen in a few parts of the world as it happens, a lunar eclipse can be spotted by anyone on the nighttime side of the planet. There are actually three different types of eclipses. A penumbral eclipse takes place when the moon passes through only the outer edges of the earth’s shadow, or penumbra – it’s often very subtle and many people don’t even notice it. A partial eclipse involves part of the moon traveling through the earth’s umbra, which is the more direct, centralized part of the shadow. Because the earth, sun and moon don’t form a direct line during a partial eclipse, we’re often still able to see the moon in the sky during one of these events. The total eclipse is what we see when the earth’s shadow completely blocks the moon, and it goes fully dark for a period of time. Many times, the moonappears to be a reddish or bloodlike color as theevent takes place. This is what many people think of when they hear the words “lunar eclipse,” and it has been a harbinger of major events in many cultures for a long time. Let’s look at some of the myths, legends and magic that surround the phenomenon of the lunar eclipse. Christopher Columbus knew that a lunar eclipse was coming in February 1504, thanks to his handy-dandy almanac. He used this knowledge as a way to scare Jamaican natives into offering food and shelter to his men, telling their chieftain that God was angry that the natives wouldn’t help him. He said that God would turn the moon blood red, and then make it go away completely, as a way of expressing his displeasure. Sure enough, the moon disappeared, and there was a great deal of terror among the locals. Right as the eclipse was about to end, Columbus said that God was going to forgive the natives as long as they kept the sailors fed. The moon reappeared, and Columbus and his men ate well until the next Spanish ship arrived. A tribe in Benin, Africa, sees the lunar eclipse as a period of battle between the sun and the moon, and chants and dances are done to encourage reconciliation in the sky. They use this time as a way of resolving quarrels amongst themselves, much as the sun and moon resolve their feud at the end of the eclipse. In the Norse eddas, a monster named Managarmr, the Moon Hound, swallows up the moon and stains the skies with blood during Ragnarok. According to the Gylfaginning, Managarmr is also known as Hati Hróðvitnisson, and is the son of Fenrir, the grey wolf, and a giantess. Some practitioners see the eclipse period – which is generally pretty short – as being the equivalent of an entire lunar cycle packed into one brief event. After all, the moon has the appearance of waxing, waning and reappearing during an eclipse. 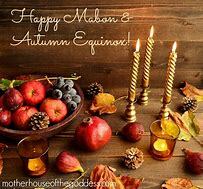 In some modern magical traditions, a lunar eclipse is considered a sort of metaphysical bonus round – in other words, any spellwork you do during this period is amplified and has a bit of extra power behind it. Lately, a few people seem to have latched onto the idea that it’s just plain dangerous to perform magic during a lunar eclipse, especially if you’re a “newbie Pagan.” There is absolutely no logical basis for this theory. If you’re worried enough about the state of your psyche that you believe it could be somehow damaged by doing magic during an eclipse, then you need to either (a) not do magic at all, or (b) learn how to ground, center and shield so you won’t self-sabotage any workings you do. Rituals that honor lunar gods and goddesses – now is a really good time to make an offering to them! Finally, remember that even if an eclipse is taking place where you can’t see it – it’s raining, there’s a cloud cover, or you’re just stuck inside for some reason – you can still take advantage of its power and energy. It’s out there and it’s happening, so make the most of it and use it to your own benefit. “So Mote it Be” is one of those archaic phrases that many people in the Pagan community use, yet its origins may not be Pagan at all. According to Webster’s dictionary, the word mote was originally a Saxon verb which meant “must.” It appears back in the poetry of Geoffrey Chaucer, who used the lineThe wordes mote be cousin to the deed in his prologue to the Canterbury Tales. Occultist Aleister Crowley used “So mote it be” in some of his writings, and claimed it to be an ancient and magical phrase, but it’s possible he borrowed it from the Masons. I hope you find something on here you can use and/or just enjoy reading. Remember a lot of the posting when opned up have a button to click on to take you to the website the pin is originally from. Any object you will be using on your altar during rituals or when doing spells should be an object used just for magickal workings. These objects become Magickal Tools after being consecrated to be used just for rituals. After the objects are cleansed cast a sacred circle. Lay all items in a row on the surface you are using as an altar. Each item should be blessed and consecrated individually. Call upon either the God and Goddess you feel the most comfortable working with or Hecate (Goddess of Witches, Home and Hearth, one name for the Triple Goddess) and the Horned God. The Horned Gods to aspects are the Oak King who reigns between the Summer and Winter Solstices or the Oak King who reigns between Winter and Summer Solstices. to be used to in any magick I work and/or ritual I perform. to be used in any magick and/or ritual I perform.